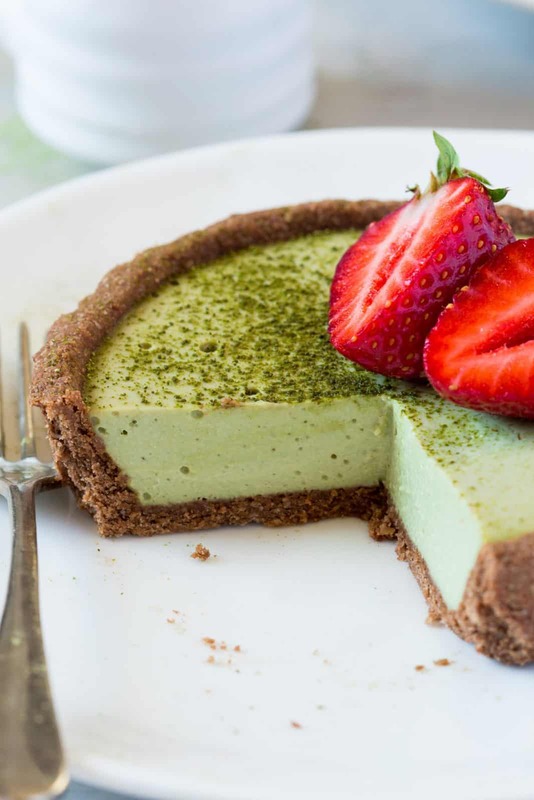 This week why not add some of these healthy meal prep desserts into your meal plan, they taste so amazing no one else will actually believe they’re good for you! Once you’ve got your meal prep lunch plan mastered it’s time to spread your wings and add another meal to your Sunday prepping session, and why not make it dessert? 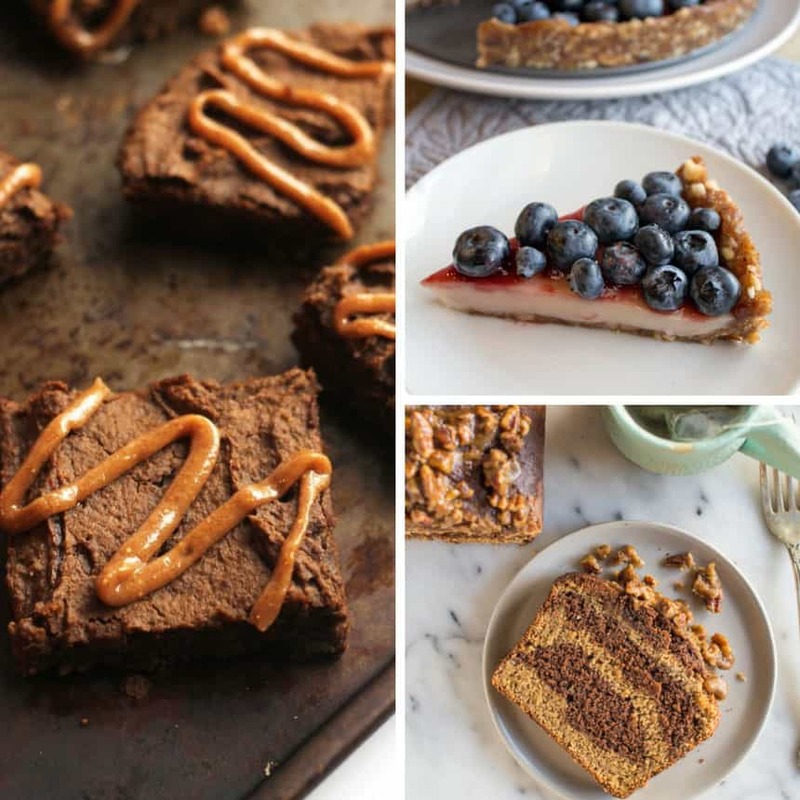 These meal prep desserts are easy to make, taste totally delicious and better yet they’re are also super healthy! You’re shaking your head in disbelief at that aren’t you? 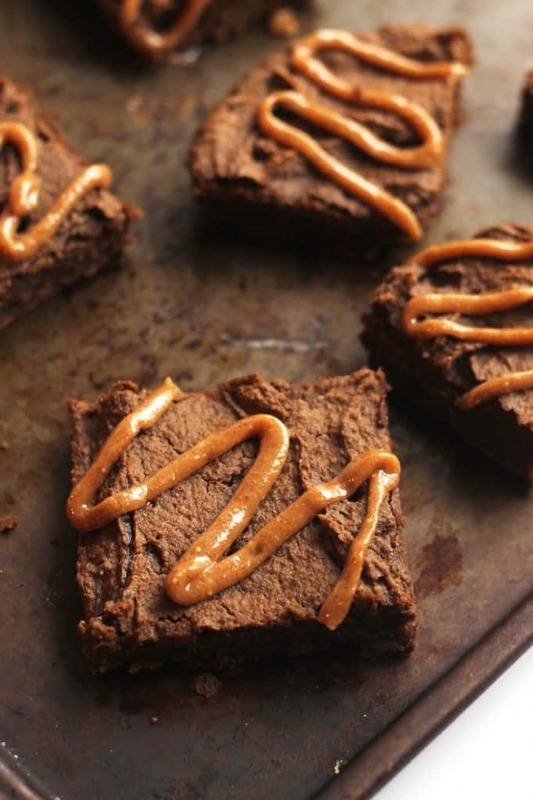 Like how can salted caramel actually be healthy? Well it can. 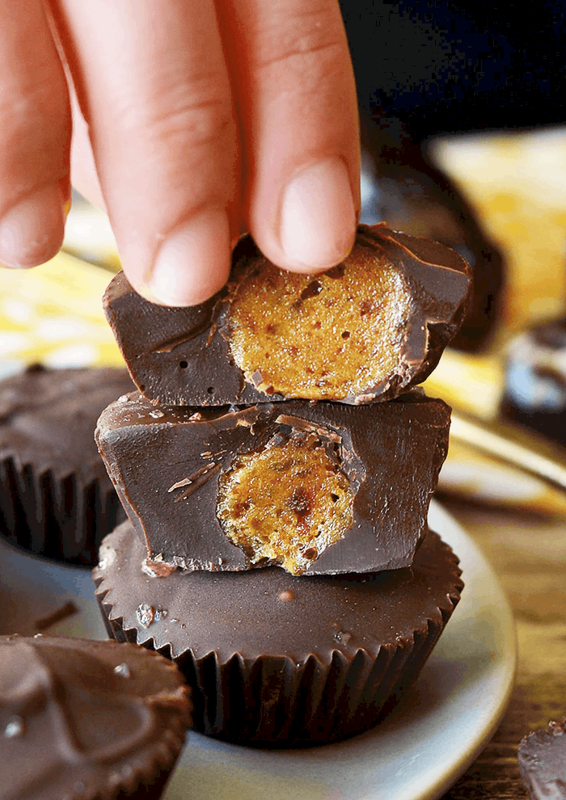 And you will NEVER guess what ingredient you use to make it, because it’s kinda crazy. 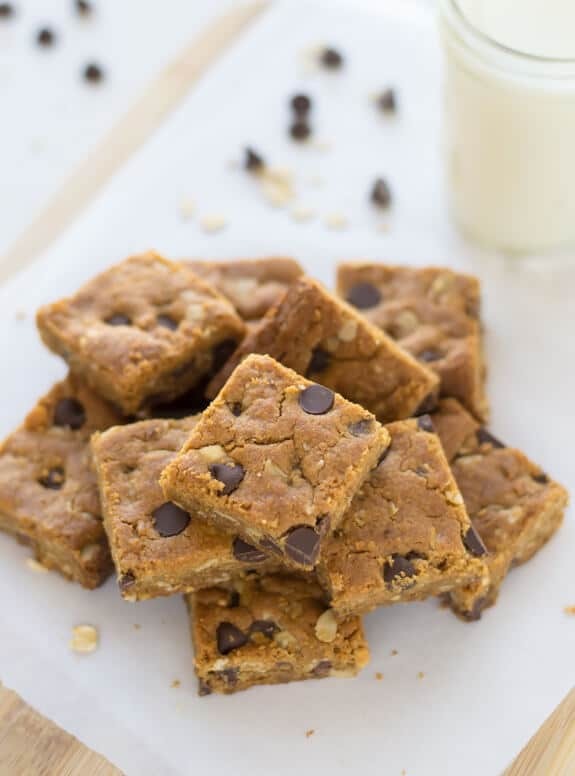 If you bought a bulk lot of chickpeas and you’re trying to think what to use them for then try making a batch of these blondies because they’re perfect for lunch boxes. 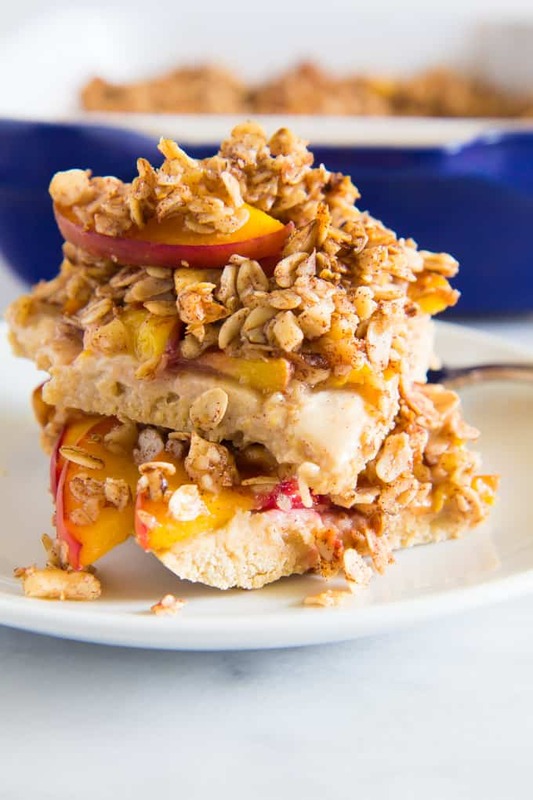 If you love a meal prep plan that allows mixing and matching then these peach pie bars are for you because you can eat them for dessert, as a snack and even for breakfast! 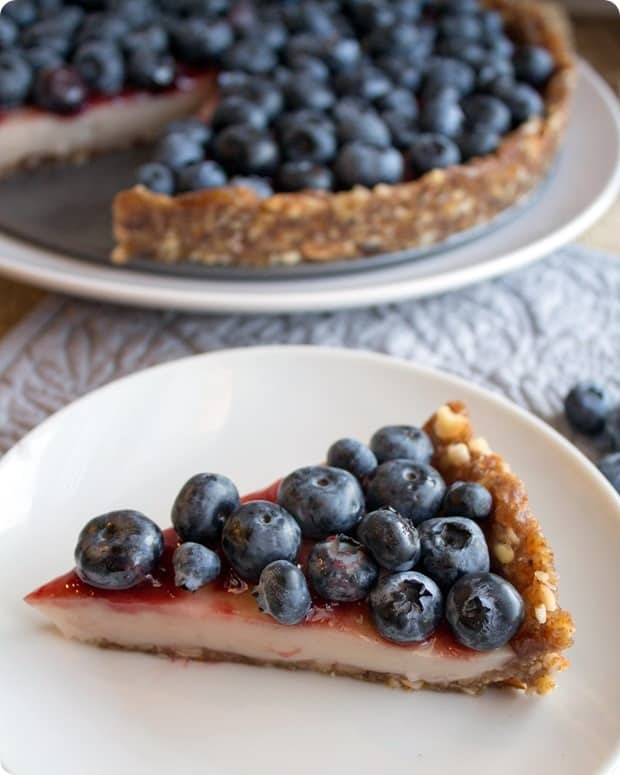 While your oven is busy cooking dinner for the week ahead spend a little time putting this no bake blueberry pie together. 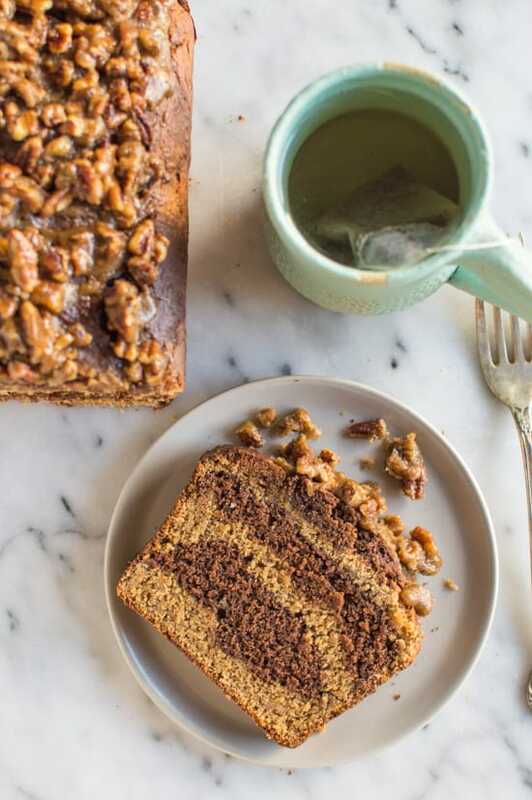 If you didn’t manage to get through all your bananas this week give this recipe a try instead of throwing those overripe bananas away. It tastes so good next week you’ll be buying too many bananas on purpose! Just because you’re meal prepping for a healthier lifestyle doesn’t mean you have to give up your 3pm cookie. 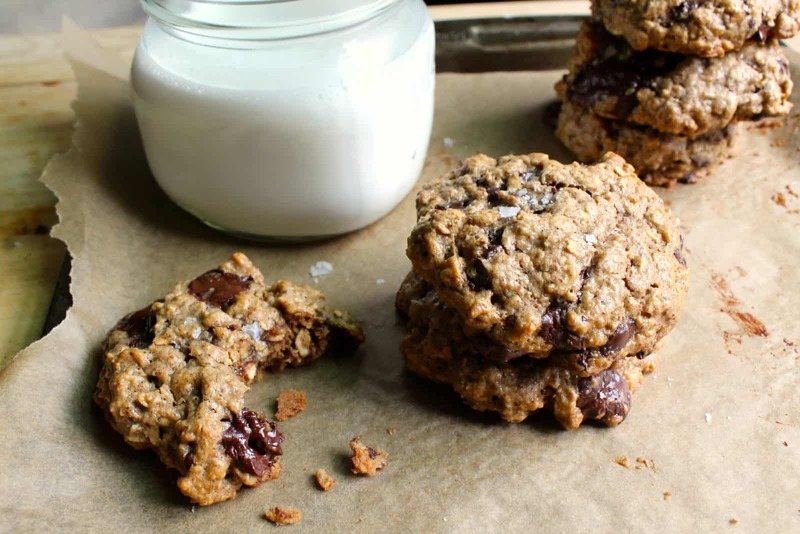 Nope, you just need to make a healthy recipe like this one. 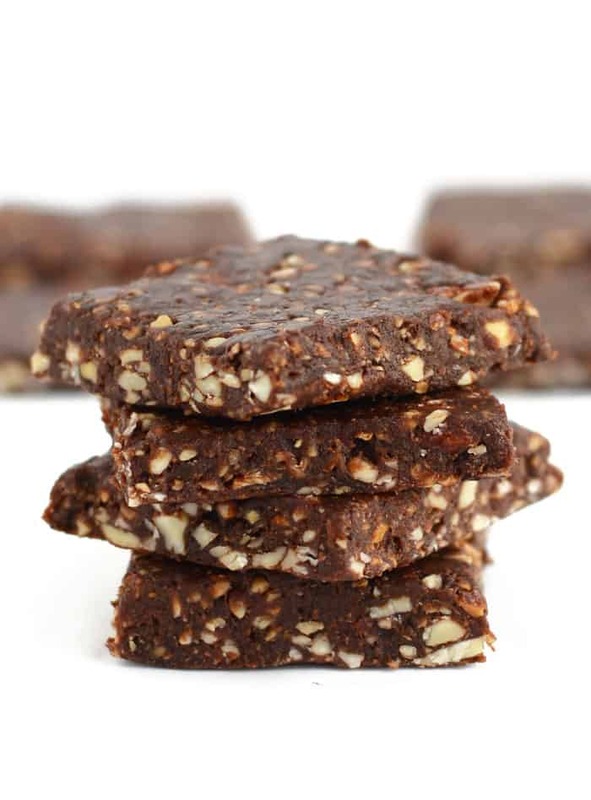 Not only are they guilt free, but they’re also no bake, and they only use three ingredients. Doesn’t get any better than that right? 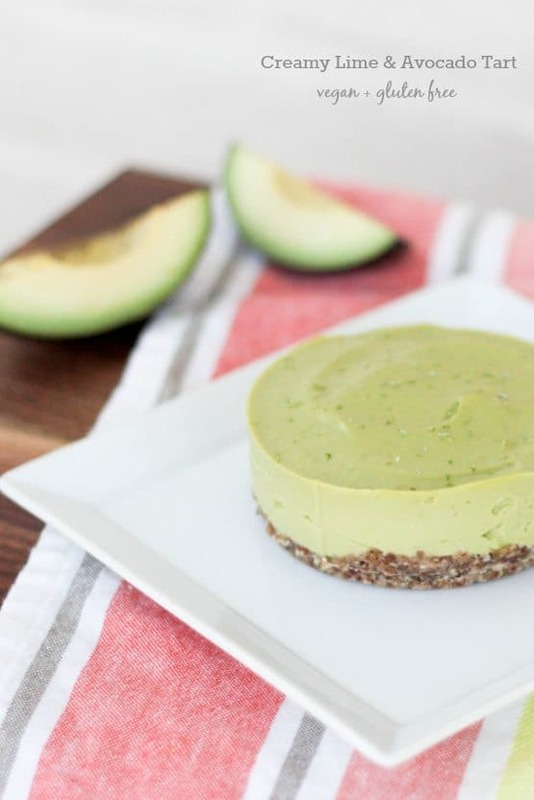 If Key Lime Pie is your nemesis because you can quite happily consume a whole pie in one sitting then try adding these tarts to your meal prep rotation. Each one is individually sized and taste so good you’ll never believe they’re completely healthy! 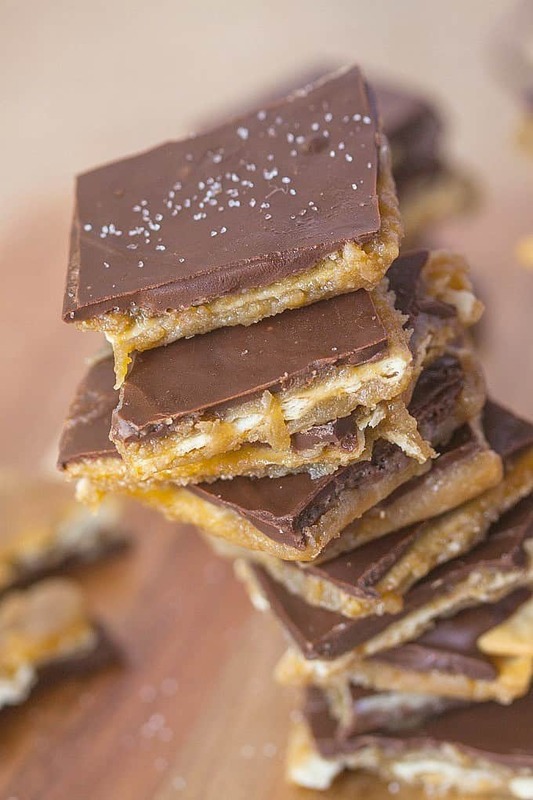 Caramel slices are perfect for Meal Prep Sunday because, well you can slice them up to make individual portions. But there’s no way that caramel slices can be healthy right? Wrong. Oh and you will be so glad that you were because these no bake slices are high in fibre, gluten free, vegan friendly and have no refined sugar in them! 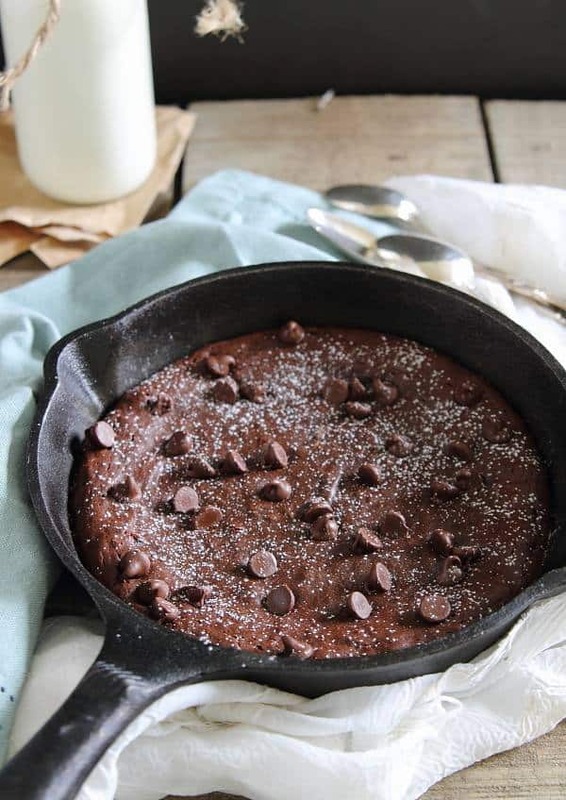 If you’ve given up on brownies because the gluten free variety are just never “fudgy” enough then it’s time to break out the skillet and put this recipe to the rest! If your kids love marshmallow based rice crispy treats it’s time to try the healthier option. 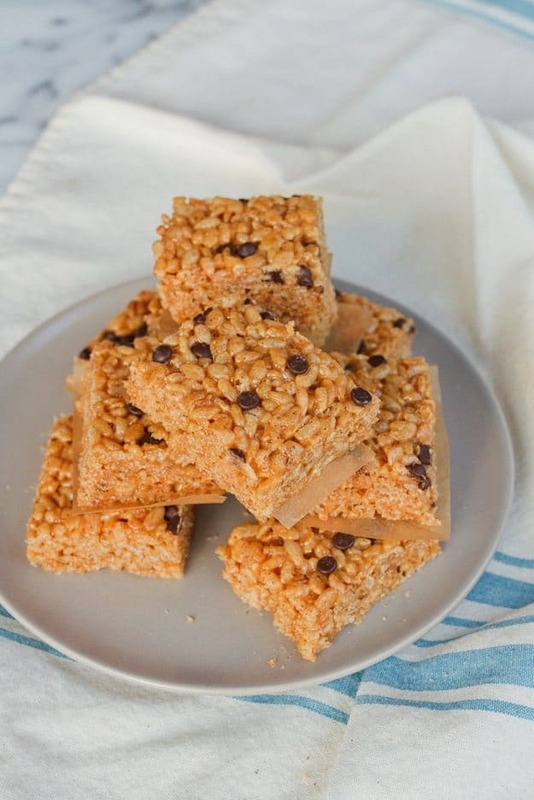 These delicious bars are made with brown rice and almond butter with dairy free chocolate chips for a little extra sweetness. These oatmeal bars are perfect for meal prepping because they are super easy to make and only use one bowl. They’re flour and butter free and they’ll keep in an air tight container at room temperature for up to a week. Previous PostPrevious 10 Keto Smoothies to Get Your Day Off to a Low Carb Start!